Do you like Jewels Blitz 2? Share it with your friends. 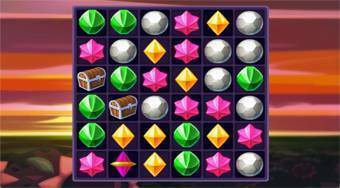 Jewels Blitz 2 is the second part of a fabulous logic game in which a large portion of brand new levels is ready for you. In each round, combine at least three of the same gems and try to load the required number of points for the next round with a limited number of strokes.